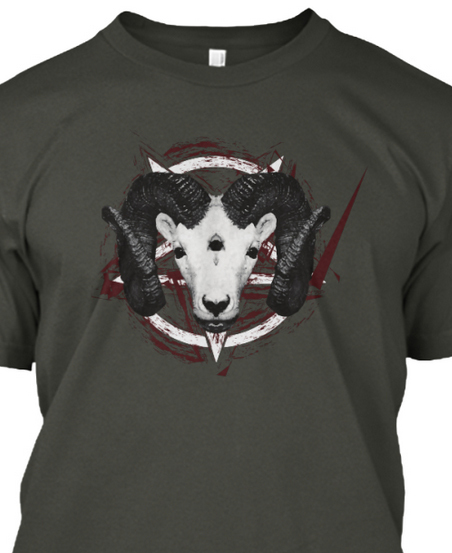 Three Eyed Goat T Shirt. An exceptional design. 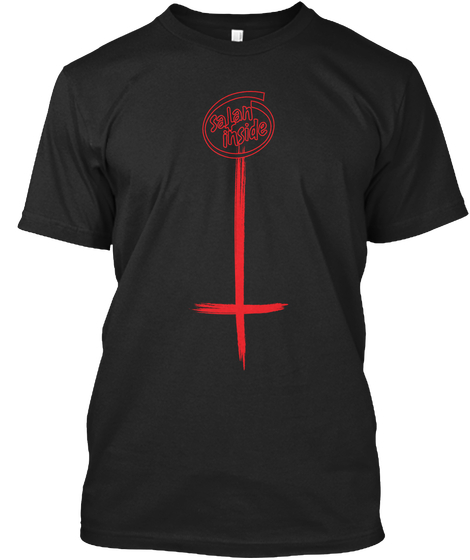 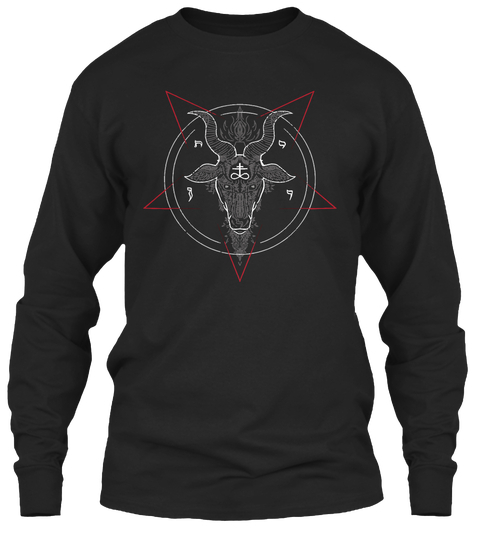 Dark, Black, Evil and has everything that a Satanic Design needs to have. Three-Eyed Goat or Three-Eyed Ram is representing the face of Baphomet, used by many satanic cults. 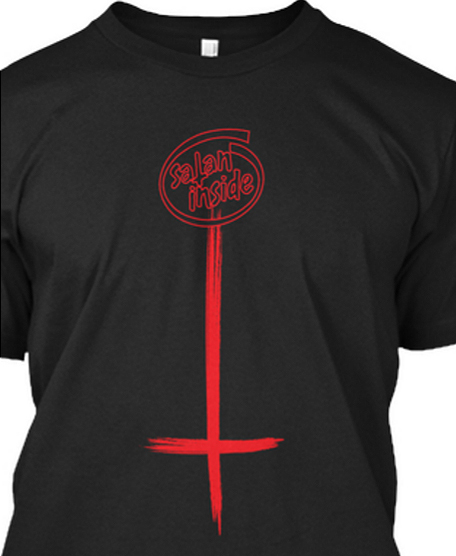 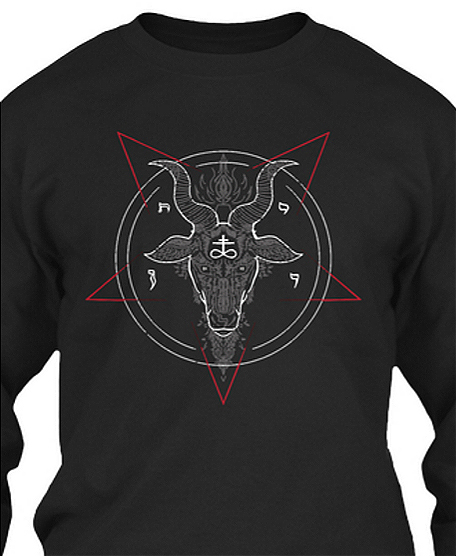 One of the most iconic symbols in satanic bible and history. 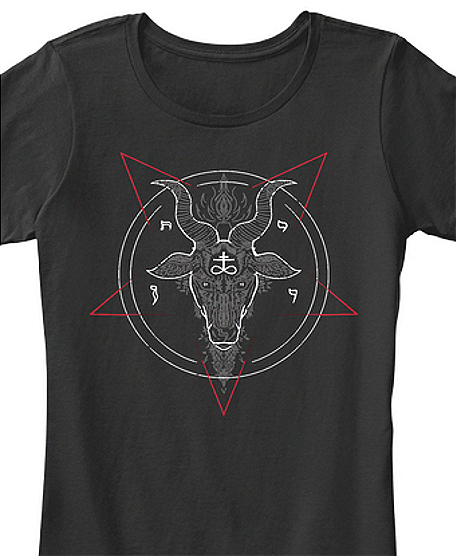 The pentagram / satanic star / down facing star means, the opposition of the Christian belief. 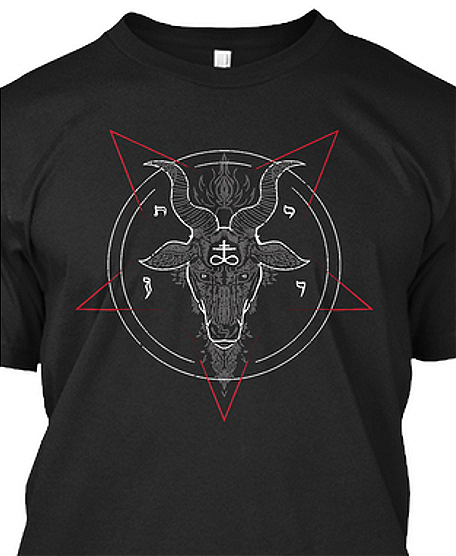 Shortly, it opposes and denies The Trinity; Father, Son, and the Holy Spirit. 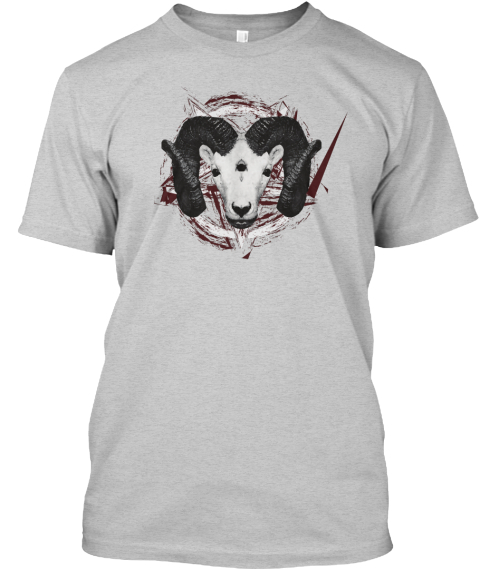 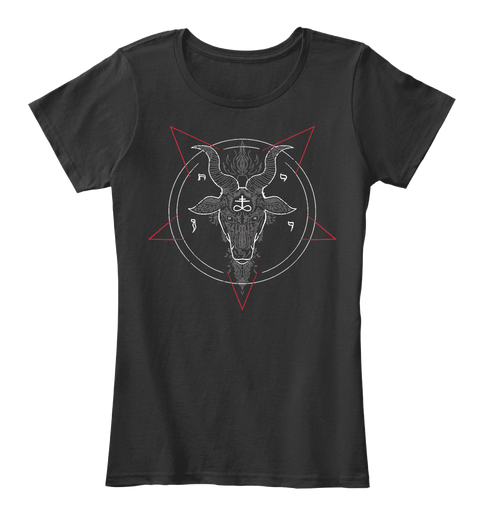 Click here for all Clothing Models with the “Three Eyed Goat” Design.